Presuming Ed will leave you mesmerized thanks to their quirky style, featuring curiosities and trinkets all over the shop, just like its sister coffee house The Marwood. At Presuming Ed, not only you will get amazing coffee but you can also get delicious poke bowl from the chefs from Tropical Shushi, who just launched their new partnership with the coffee house. Presuming Eds, 114-115, London Rd, Brighton BN1 4JG. This coffee house is a hidden gem of London rd., having opened a little over a year ago the shop servers locally roasted beans from Lazy Dog Coffee Roasters. Inside Phoenix Coffee House there is a rustic vintage feeling which is augmented thanks to their selection of PS 2 vintage games. This Café’s slogan is “Born in Brighton, Created by the community. Powered by plants.”; The Longhouse is a 100% vegan Coffee House. Even though the coffee shop’s owners have changed since last year, the Longhouse is still a great spot, famous for its sweet coffee with chocolate and nut flavours and its lovely interior with plants hanging from the ceiling. Africa House is a new addition to the London rd. coffee shops. It celebrates all thing African and it encourages its customers to “Connect. Conserve. Explore.”, as the slogan above the door reads. The coffee served is a charitable collaboration between Pharmacie, Falcon Speciality and Africa House. 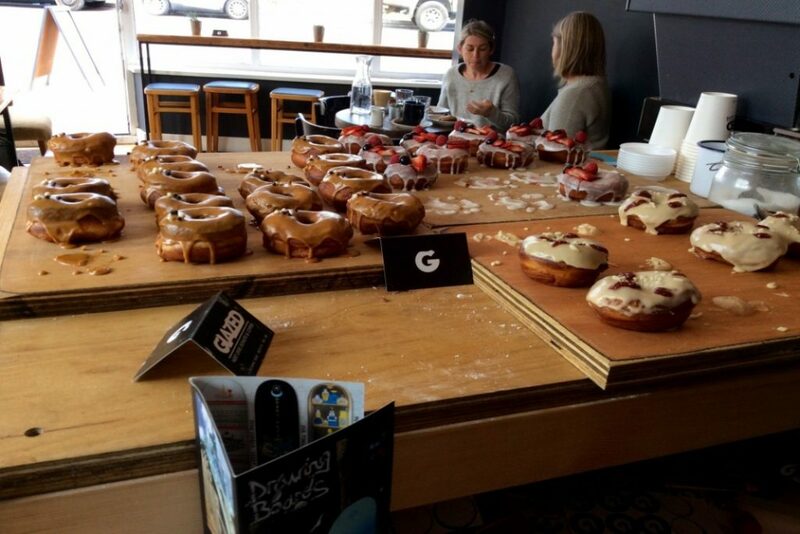 Based next to The Level skate park, Glazed is the perfect laid-back spot for anyone who wishes to enjoy a delicious coffee and the best vegan donuts in town. Glazed’s customers can enjoy their stay while playing retro games and going along with their chill vibe. Glazed, 25 Ditchling Rd, Brighton BN1 4SB. Founded in 2010, The Marwood was voted “Most Brighton Venue” in 2017 and to this day is a unique location that stays true to Brighton’s atmosphere. Much like its younger sibling, Presuming Ed, The Marwood interior is stunningly decorated with models hanging from the walls, mannequins and just an overall cool aesthetic. Moreover, it offers great coffee and food for every taste! 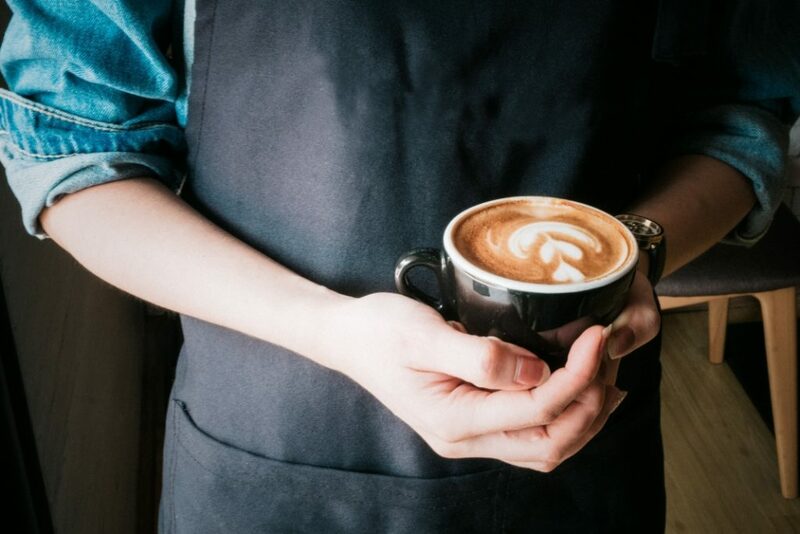 Blackbird Coffee is a new addition to Brighton’s coffee scene and it’s quickly making a name for itself thanks to its amazing coffee. The owners describe it as a “3rd wave coffee house, that offers premium coffee for true coffee addicts”. The Plant Room at Brighton Square has a stunning location and excellent coffee and snack choices. The laid-back vibe is complimented by plants, pictures and pots hanging from the walls or the ceiling. Their coffee is a specialty coffee from renowned New Zealand roasters, Allpress, which they serve on both expresso and filter. 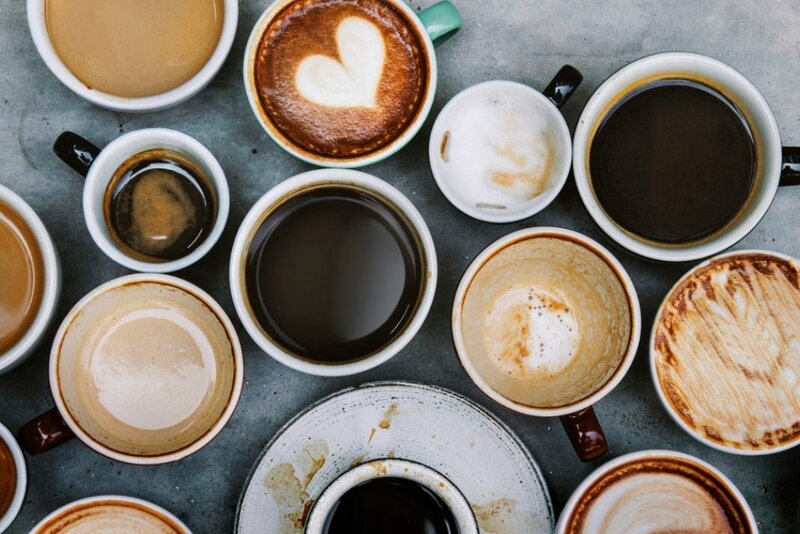 Established in 2010 by James Wilson, Cafe Coho not only offers some tasty treats, along with a delicious all-day breakfast/brunch menu; but it is also dedicated to “providing high quality coffee. They use a varied blend of coffees from smallholder farmers from Africa, South America and Indonesia. The Trading Post, is maybe one of the biggest independent coffee shops in Brighton; with seating downstairs, upstairs and outside. Their coffee blend is 100% certified organic, strictly premium Arabica beans grown at high altitude of 3000ft or above. Moreover, their food menu is made up of mainly organic and locally sourced ingredients. 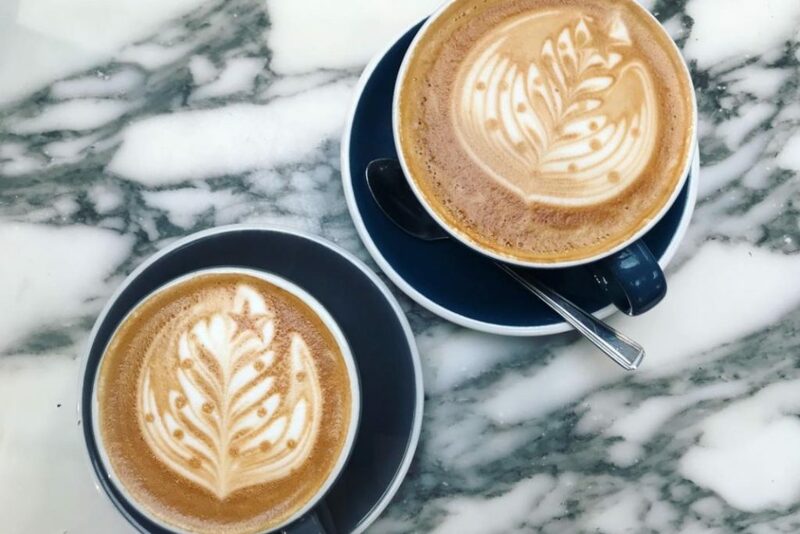 If you like giant cakes of all varieties and lattes with a perfect heart pattern on the top, Pelicano is an independent coffee shop and grounders located in the heart of the North Laines. Their black coffee mugs with the logo which is slowly revealed as you sip on your hot drink, and the little wooden boards on which they serve your drink and cake. It is definitely a place perfect to meet a friend, chat, eat and drink, while wasting the day. Pelicano, 28 Sydney Street, Brighton, BN1 4EP. Moksha is an independent kitchen and café that serves their own locally roasted coffee alongside their beautiful fresh breakfasts. Located on York Place, behind St Peter’s Church, the café has many faces since its opening in 2007. Moksha is definitely a must visit if you are in need of a caffeine fix while in Brighton, with that extra something. The dainty north Laine coffee shop, sells a beautiful range of filled rolls, cakes and pastries which greet you as you walk through the door. Sold with their award-winning coffee and tea, holds them in the top three coffee shops in Brighton according to Best of England. A perfect stop to enjoy a coffee and a slice of cake. The Flour Pot Bakery is a Brighton based company that has five bakeries and cafes across Brighton and its surrounding areas. The window of the Sydney Street shop, is filled with delicious crusty bread, while chocolate and salted caramel filled donuts line the counter. These treats are served with their own coffee blend, which produces yummy, warming and delicious hot drinks. Flour Pot Bakery, 40 Sydney Street, Brighton, BN1 4EP. 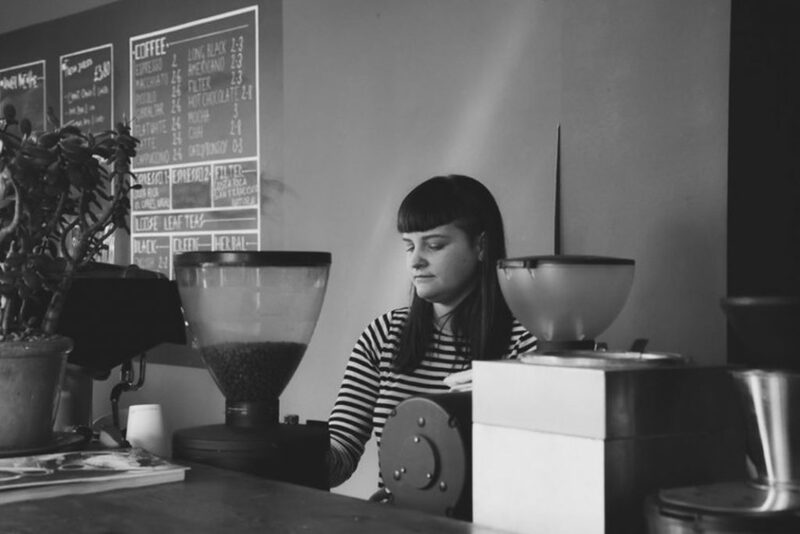 The self-confessed coffee ‘nerds’, Small Batch Coffee Roasters, have nine coffee shops across Brighton, Hove and Worthing. They roast their own great tasting coffee which is sourced from producers that they have a good, long-lasting relationship with. On Brighton’s Jubilee Street, their flagship shop is inviting and always busy. If you are out in town, shopping or seeing the sights, it’s a great place to stop and have a break with some good coffee. This marble, botanical paradise of a cafe is known for its good quality coffee and stunning food. The high quality of its food and drink is matched with the smart décor and their attention to detail. They have a wide range of hot and cold drinks that will suit your every-mood, which married with their yummy brunches is a match made in heaven. This is the cafe which is the opposite end of the spectrum to the classic ‘greasy spoon’. Red Rooster, 1D St James’s St, Brighton BN2 1RE. This marriage of homely and chic with an art-deco interior, makes this coffee shop a very cool place to stop and buy a coffee. They are very serious about coffee and offer beautiful hot drinks of all varieties. Served in rustic china cups with their tree inspired logo on the front, it’s a must for any coffee lover. So, if you are out and about in Brighton’s Kemptown, this is a perfect coffee house to sit back and enjoy. Having served coffee since 2009, The Ground Coffee House has three shops across Brighton and Lewes. 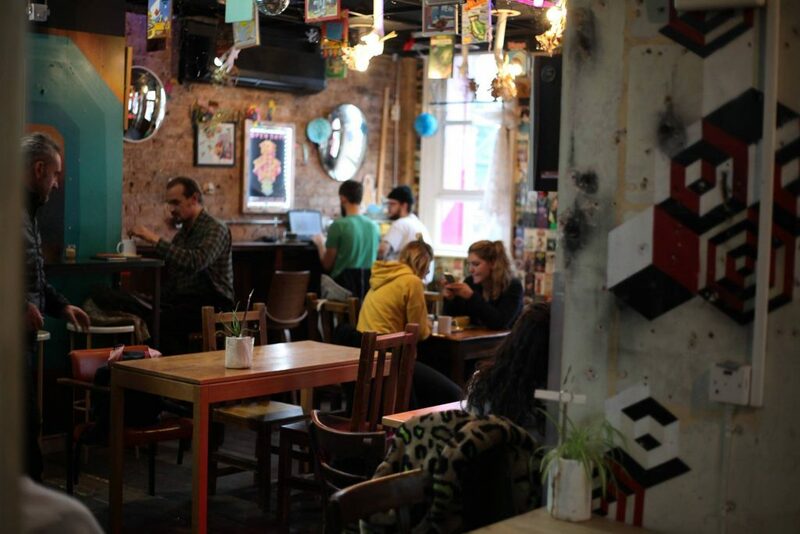 With the Kemptown shop filled full of medical staff from the hospital, local artists and Kemptown residents, the coffee house is a go-to for anyone in the area. With great tasting coffee and a huge variety of delicious pastries, it is a perfect place to meet friends or just pop in for some lunch. Ground Coffee House, 36 St George’s Rd, Brighton BN2 1ED. If you like a homely, quiet little coffee shop which others are likely to miss, Portland is perfect. The Kemptown based coffee shop sells the delicious coffee produced by fellow Brightonian coffee producers, Small Batch Coffee Roasters. 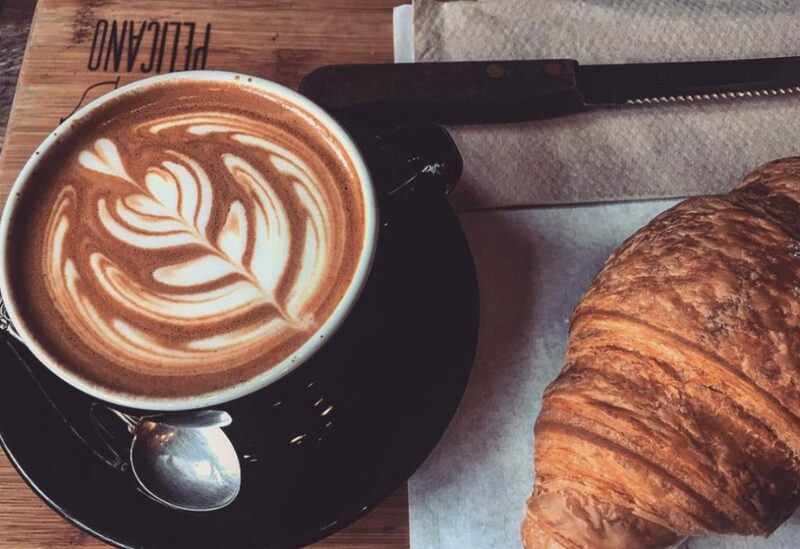 This smooth and delicious coffee is accompanied by an array of cakes and sandwiches, which is written in chalk across the giant black-board that stretches across the right-hand wall. If you’re are in Kemptown, seek this little place out. Pharmacie Coffee Roasters was born as a micro-roaster and training facility and then it became a Saturday only coffee shop. Their rustic interiors make you want to go in and taste coffee from their wide selection, which features pourovers, drip decanter, kalita wave, aeropress and cold brew. 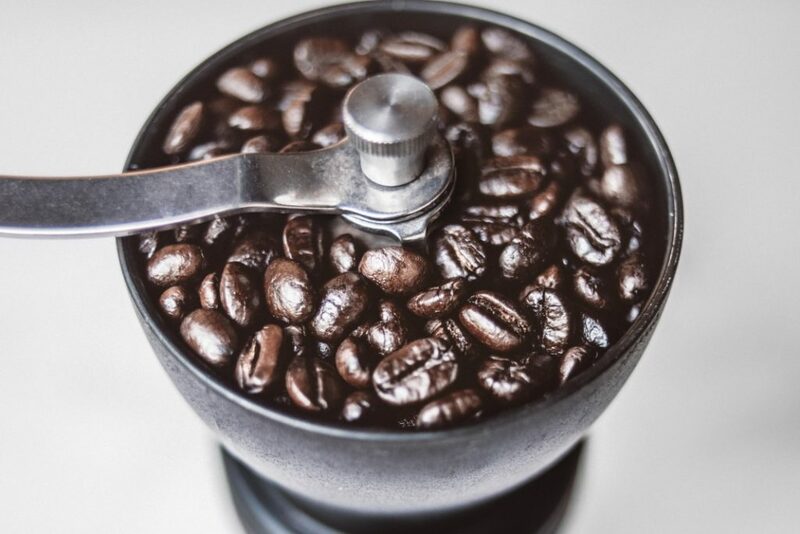 Furthermore, their beans are roasted in-house and are supplied to several other coffee shops. Between two thorns is not your typical coffee shop, it started as a flower shop, moved to plants and then added coffee to the mix. Inside the shop you can play with their adorable resident dog, relax or attend plant workshop; all while sipping on a Pharmacie Coffee Roasters Remedy blend made up of beans from Ethiopia and El Salvador. Formerly known as Mr. Wolfe, Stoney Point offers the Organic Espresso from Monmouth coffee and practices precise brewing techniques to extract the best possible flavours. The inside, with plug sockets, comfy seating, minimalistic wooden aesthetic is the best place to meet up or get some work done in. 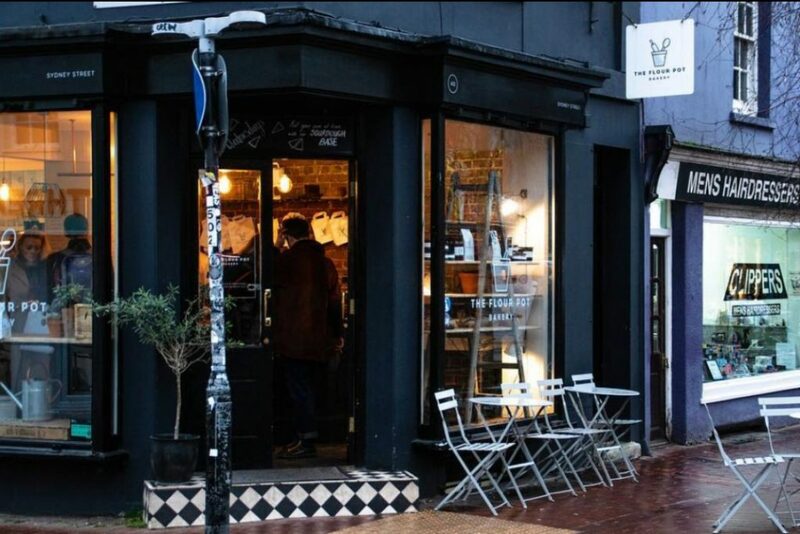 This small coffee shop is a specialty coffee shop in the heart of Poet’s Corner in Hove. 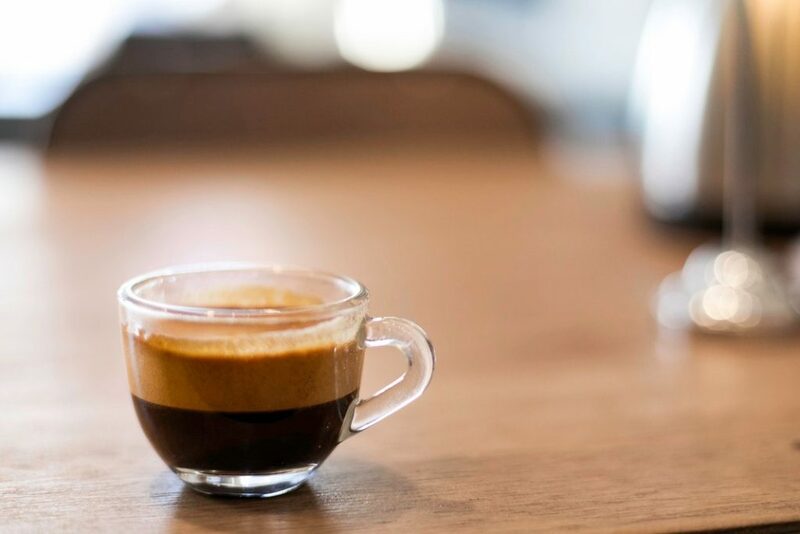 44 Poets coffee is traceable, organic, ethically traded and freshly roasted; their blend, is by the multi award-winning Square Mile Coffee Roasters. They also serve a variety of cakes, pastries and treats from local suppliers and a selection of craft chocolate. Down to Earth is one of the first coffee shops you see when going into Hove, it overlooks Palmeira Square and it was founded only a year ago. This new coffee shop offers a wooden interior which compliments their cosy vibe. Not only do they roast their own coffee in cooperation with Pharmacie Coffee, but it also offers a wide range of rotating guest espressos.